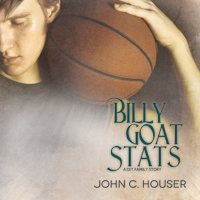 Back from summer basketball camp and starting at Hoosier State on an athletic scholarship, Billy is looking forward to playing basketball free of pressure from his overbearing, bigoted father. Too bad he’s trading one set of problems for another. His boyfriend Jonah dumps him, expecting he’ll want to spread his wings now that he’s away from home, and the basketball program at State proves harder to navigate than he imagined. Despite his hurt at Jonah’s treatment, Billy is not ready to give up on a relationship with the out-and-proud musician. Their geographical distance isn’t Billy’s biggest problem, since it makes it easier for him to stay in the closet. In fact, when the press starts sniffing around the basketball team, it turns out he’s not the only one with a secret. Every member of the team must choose where, and with whom, they stand. The success of Billy’s season may depend as much on the depth of his character as his physical endurance. Available in paperback or e-book from Dreamspinner Press. Release date: May 25, 2015. When bullies chase Jonah Winfield to the front step of Avakian Music, owner Davoud Avakian intervenes and offers Jonah sanctuary among the lush chords of the Music Box’s Steinway Grand. Jonah’s sexuality isn’t a problem for Avakian, but it’s an issue the kids at school won’t allow Jonah to forget—whether he’s ready to deal with it or not. When the bullying escalates to violence, Jonah’s favorite music teacher, Mr. Gaston, wants to take the bullies to the principal. Speaking up for his favorite student may bring Paul Gaston’s own sexuality up for debate, and with budget cuts looming, he’s already on shaky ground. Forcing Jonah to do anything will only make matters worse. 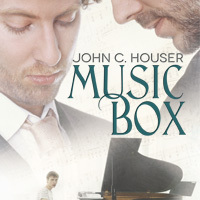 Getting Jonah’s cooperation requires earning his trust and helping to preserve the sanctuary of the Music Box. But the generations old music store handed down to Davoud is on the verge of bankruptcy. If Paul and Davoud can’t figure out how to turn the business around, everyone will feel the loss. Available in paperback or e-book from Dreamspinner Press, Amazon, Barnes & Noble and other retailers. 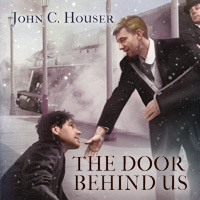 It’s 1919, and Frank Huddleston has survived the battlefields of the Great War. A serious head injury has left him with amnesia so profound he must re-learn his name every morning from a note posted on the privy door. Gerald “Jersey” Rohn, joined the Army because he wanted to feel like a man, but he returned from the trenches minus a leg and with no goal for his life. He’s plagued by the nightmare of his best friend’s death and has nervous fits, but refuses to associate those things with battle fatigue. He can’t work his father’s farm, so he takes a job supervising Frank, who is working his grandparents’ farm despite his head injury. When Frank recovers enough to ask about his past, he discovers his grandparents know almost nothing about him, and they’re lying about what they do know. The men set out to discover Frank’s past and get Jersey a prosthesis. They soon begin to care for each other, but they’ll need to trust their hearts and put their pasts to rest if they are to turn attraction into a loving future. Available in e-book or paperback from Dreamspinner Press, as well as Amazon, Barnes & Noble, and other retailers. Presenter Advocate Harte Walford wants to do the right thing and bring a cruel attacker to justice. His father opposes any involvement with the case because the victim may be a pretty boy—a male prostitute who can’t possibly pay for Harte’s legal assistance. The situation deteriorates when Harte discovers that the perpetrator has powerful connections on the town council. When another boy, Peli, is threatened because he witnessed the crime, Harte must find a way to spirit him out of harm’s way. Smack in the middle of the delicate operation, a new obstacle appears in the form of canny judge veritor, Stilian Cast. Judges Veritor can tell when you’re lying. Judge Cast doesn’t know why Harte and his band of watchmen have kidnapped Peli, but he’s positive Peli was betrayed. When things appear as if they can’t get any worse, Harte finds himself thinking the craggy judge is really handsome. Is it getting hot in here? Why are my breeches so tight? Yes, that kind of handsome. Fly Up into the Night Air received a five (out of five) star rating. See the whole review on Reviews on Jessewave. 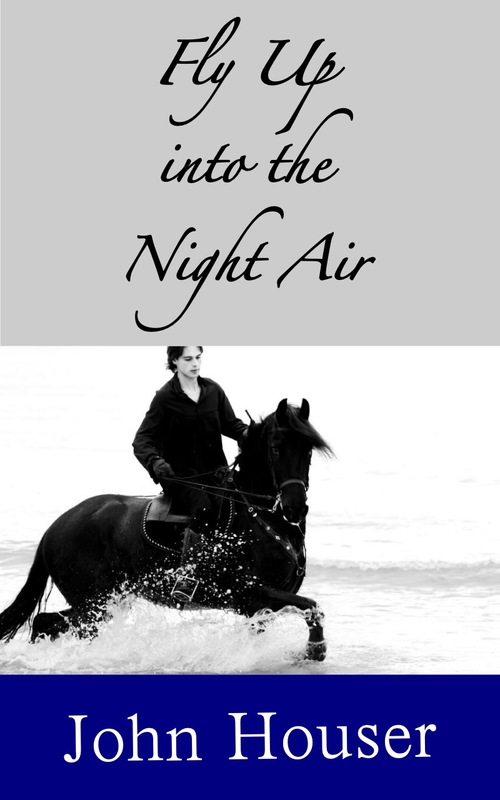 Fly Up into the Night Air is available on Amazon.